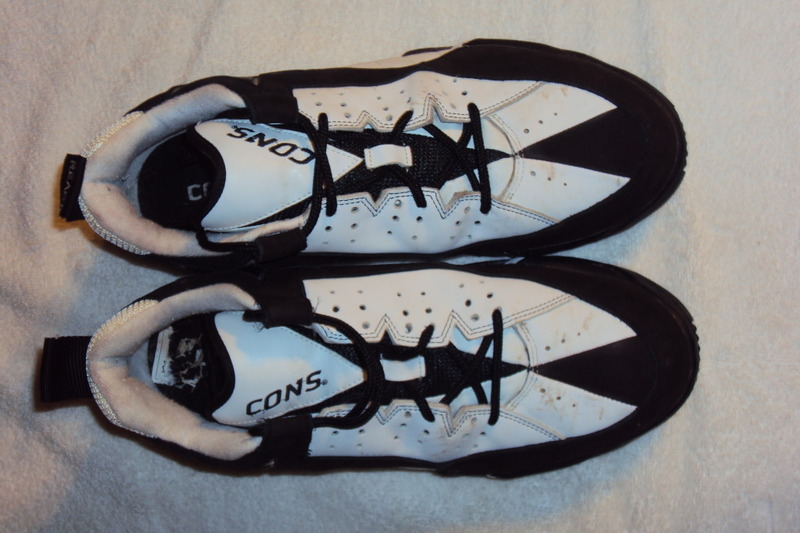 The Converse Blog: Friday Flashback CONS React training shoes, plus a plea for JJ Barea's shoes. 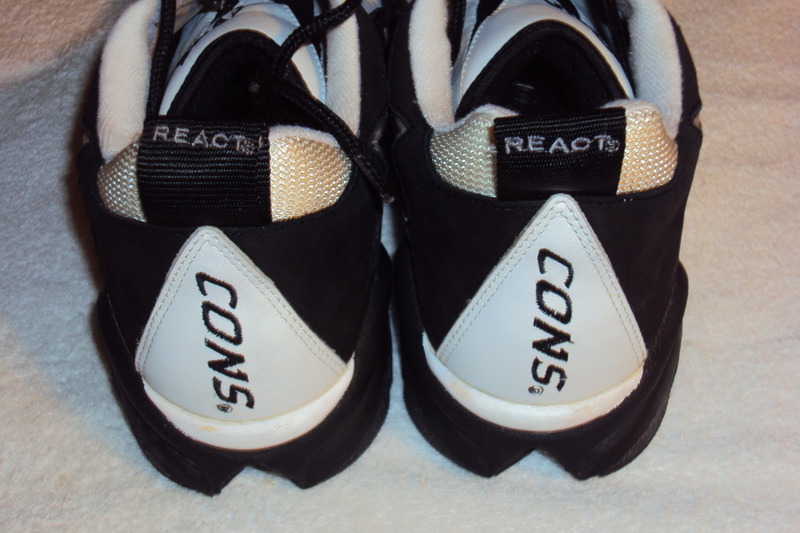 Friday Flashback CONS React training shoes, plus a plea for JJ Barea's shoes. Hello world, welcome to the Friday Flashback here at the Converse Blog. But before we get to the post I want to give a shout out to JJ Barea. Last night JJ Barea put a impressive 17 points 5 Assist and 2 Rebounds. 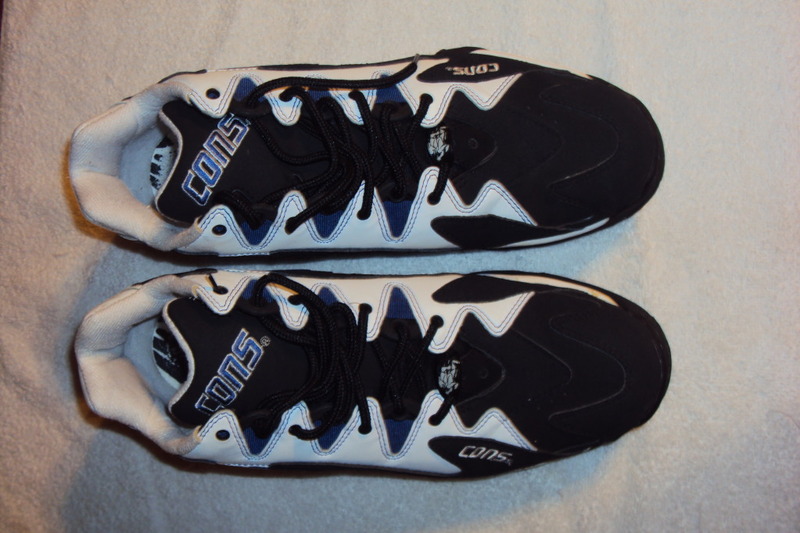 I can only hope that Converse is gearing up for a quickstrike release of Barea's Star Player EVO low top shoes, interest in the shoes will possibly never be higher. 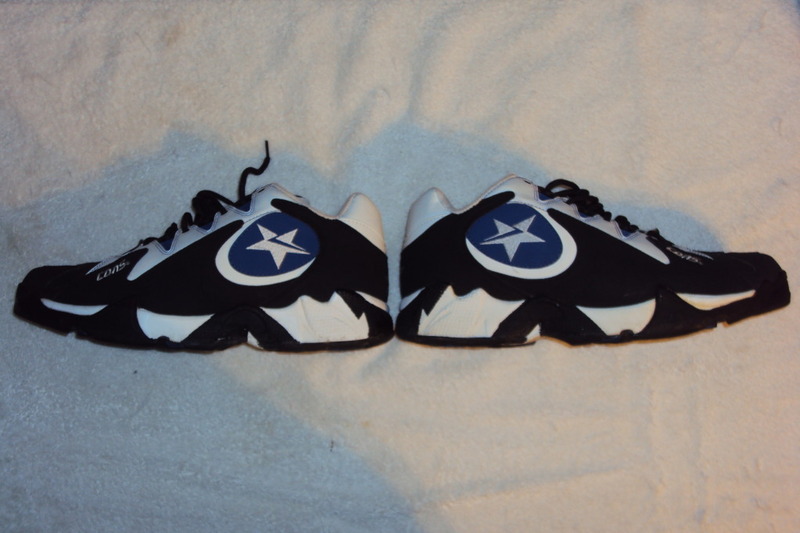 I'm not sure of the name of these shoes, so if you happen to know please pass on the knowledge. 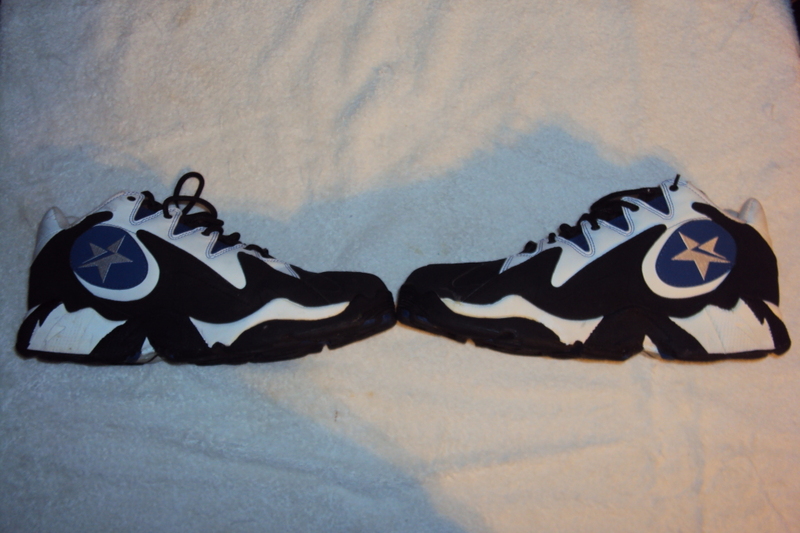 However, as you can probably tell these shoes came out in the early 90's. 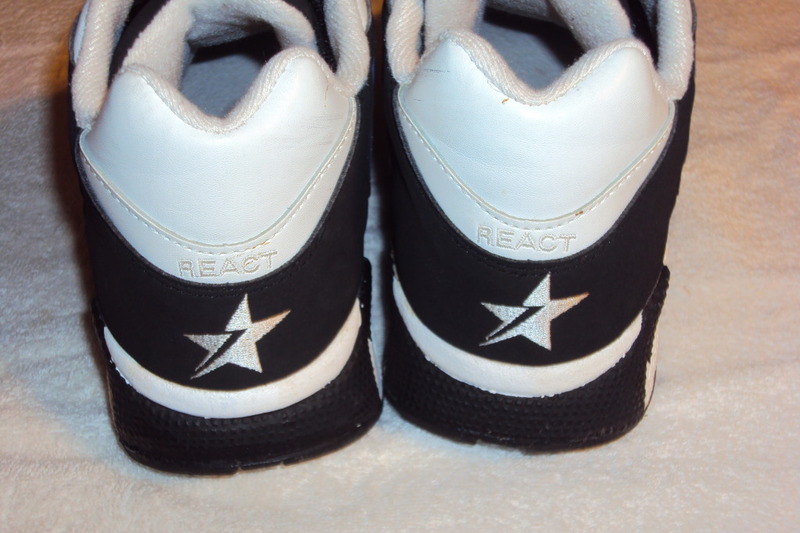 Wild design and the Chevron in Star logo that defined the React era. Hope you enjoy!!! 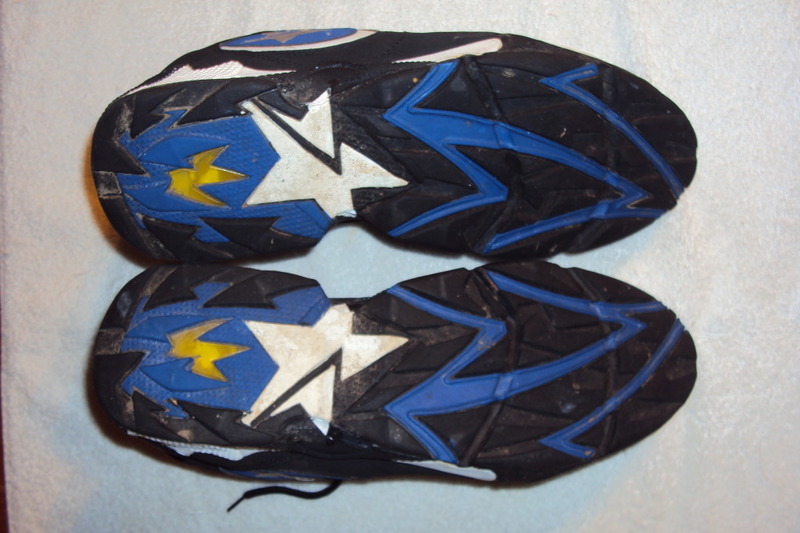 Those I believe were turf shoes for football.